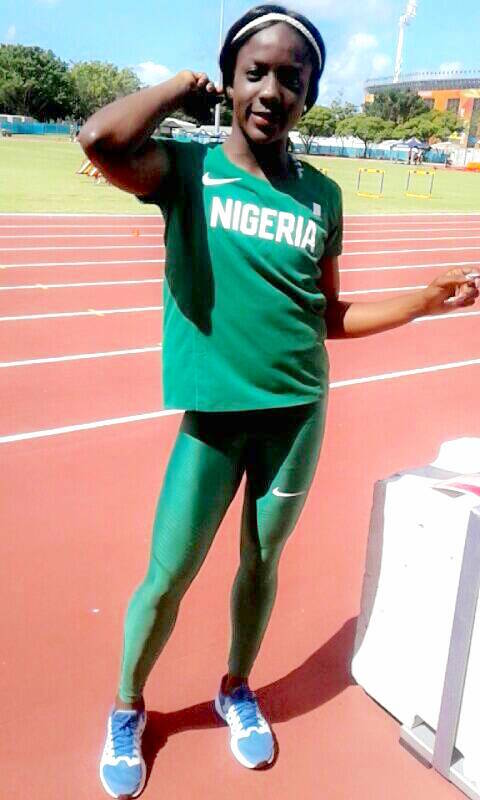 Home Athletics MoC’s Joy Udo-Gabriel wins Commonwealth Games Bronze medal with Nigeria’s 4x100m Team! 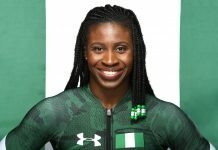 In her very first outing for Nigeria, Making of Champions athlete Joy Udo-Gabriel clinched a Bronze medal with her teammates in the women’s 4x100m final in Gold Coast, Australia at the 2018 Commonwealth Games, which came to a climax on Sunday, April 15th. 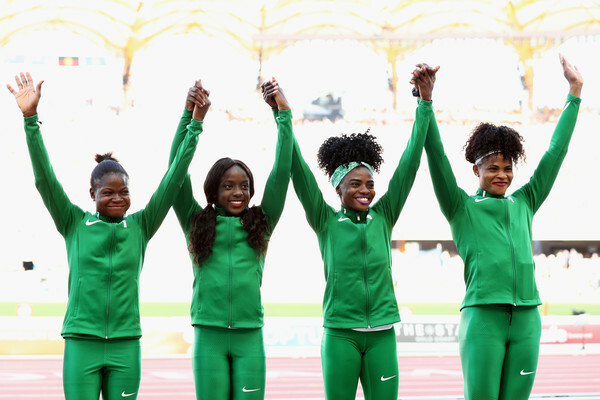 The ARCO-sponsored athlete teamed up with Glasgow 2014 double sprint GOLD medallist Blessing Okagbare, newly crowned 100m Hurdles Commonwealth Champion Tobi Amusan, and Kids & Play’s Rosemary Chukwuma, to bring home the baton in a time of 42.75s, as England won GOLD in a National Record (NR) of 42.46s, while Jamaica took Silver in 42.52s. 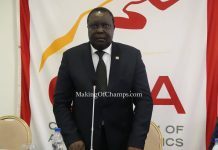 Joy Udo-Gabriel at the Games Village in Gold Coast, Australia. 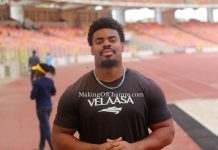 Udo-Gabriel ran the first leg for Team Nigeria before handing the baton to Okagbare, and will relish the experience running alongside the likes of Nigerian sprinting superstar Okagbare and Amusan who are more experienced in the game. 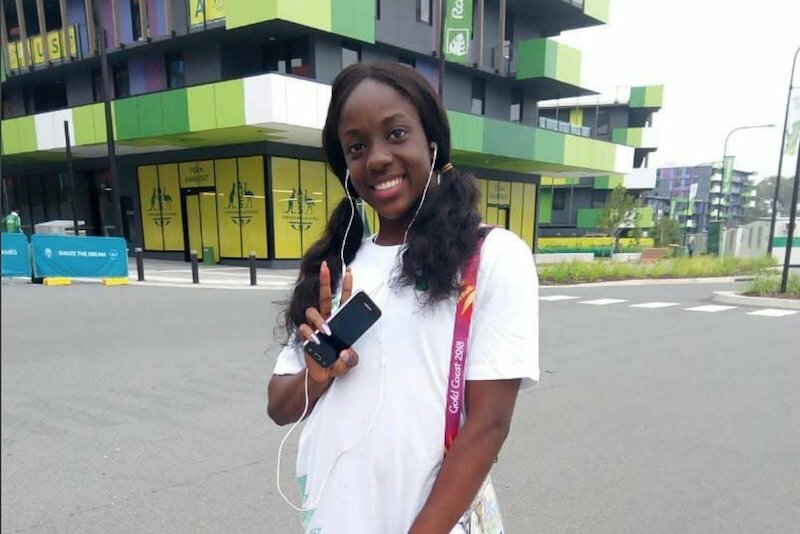 The teenager made her international debut while running in the women’s 100m heats at the Carrara Stadium where she finished an impressive 2nd in Heat 6, shattering her former Personal Best (PB) of 11.65s and replacing it with a new time of 11.42s. 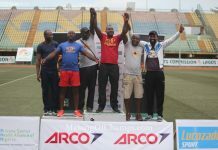 She advanced to the semis where she finished 4th in 11.53s, narrowly missing a spot in the final as she finished 9th overall. 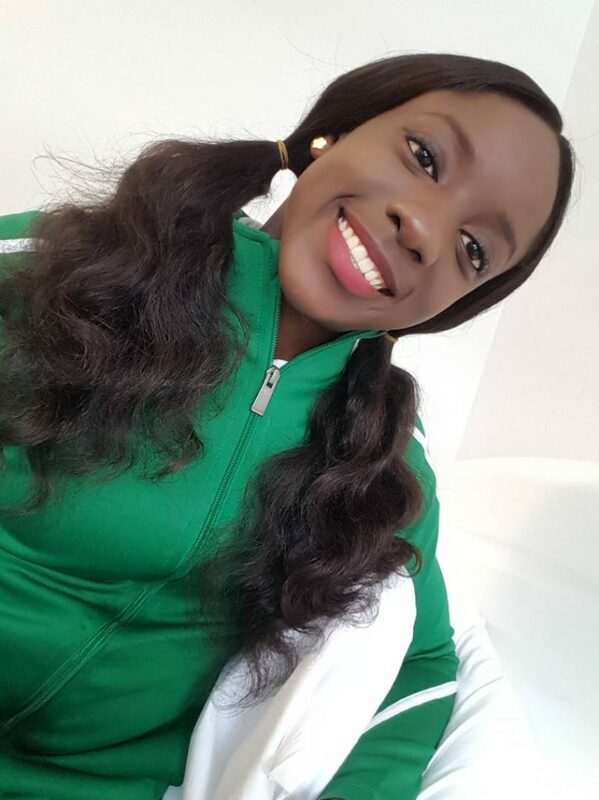 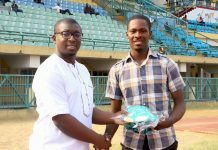 Udo-Gabriel made the Nigerian team after finishing 3rd in the women’s 100m final at the Commonwealth Games Trials held in February. 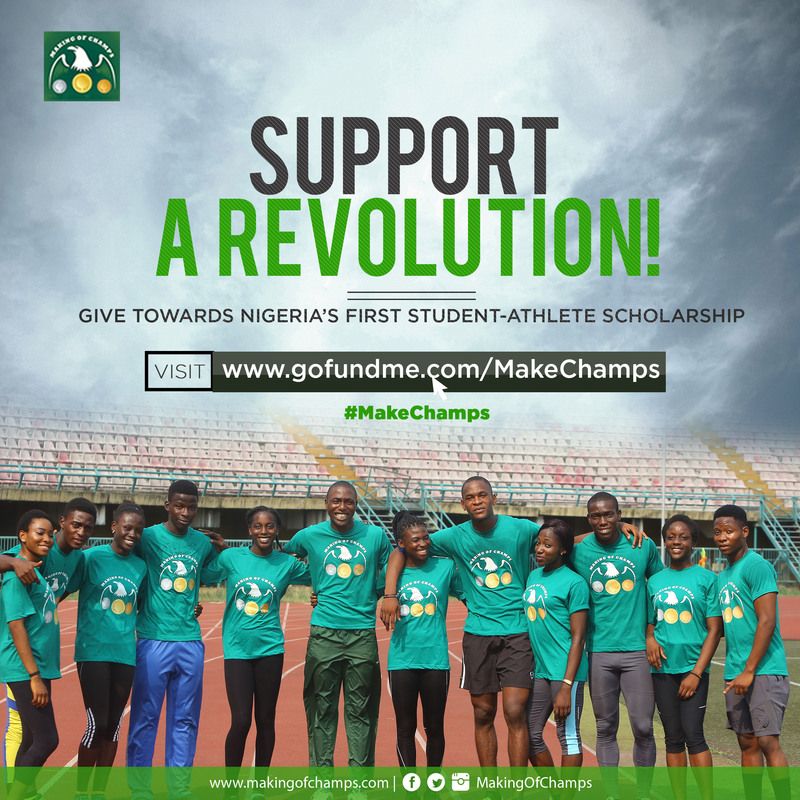 Chukwuma is another upcoming athlete who made her international debut for Nigeria at the Commonwealth Games. 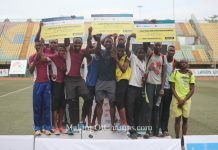 The Kids and Play athlete ran the anchor leg for Nigeria in the women’s 4x100m relay and will not return home empty-handed. 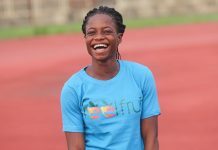 The sprinter has been one of the outstanding athletes on the home front in recent times and earned her spot on the team after finishing 2nd in the women’s 100m at the Commonwealth Games Trials held in February, while Udo-Gabriel placed 3rd. 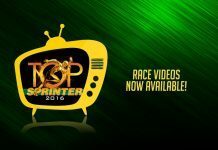 The pair have forged a healthy rivalry over time and are definitely part of the next generation of female sprinters to watch out for. 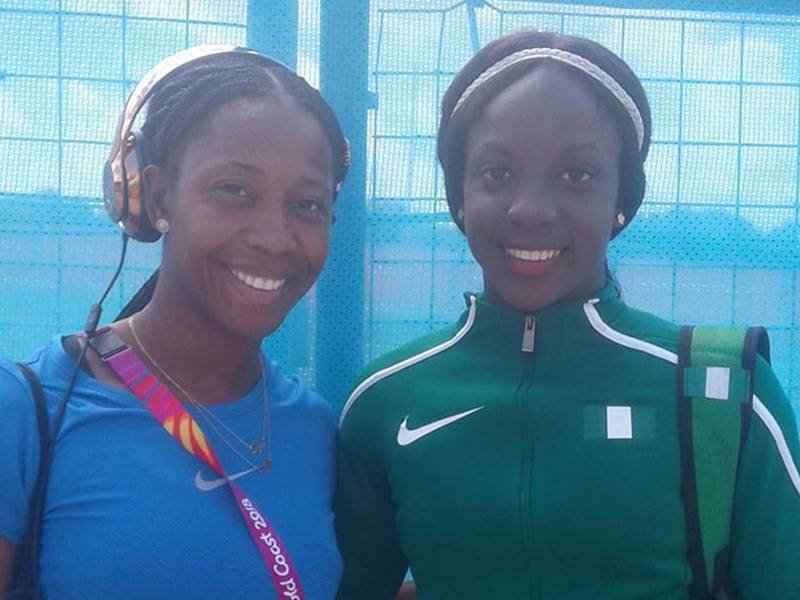 Udo-Gabriel with former Olympic and World Champion Shelly-Ann Fraser-Pryce of Jamaica. 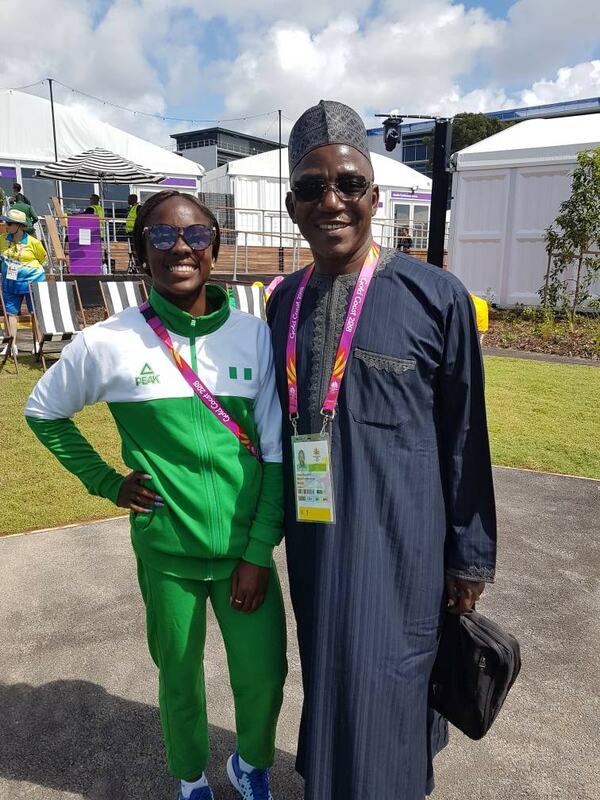 Udo-Gabriel with Nigeria’s Minister of Sports Solomon Dalung, at the Commonwealth Games. 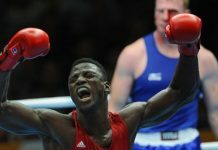 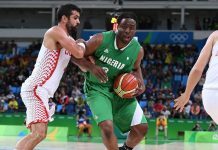 Udo-Gabriel relishing her Team Nigeria experience at the Commonwealth Games.